Maquet Cardiovascular LLC v. Abiomed, Inc. et al. (17-cv-12311). After being sued for patent infringement by Maquet, Abiomed filed non-infringement counterclaims against Maquet its corporate parent, Swedish company Getinge AB. Judge Saylor granted Getinge’s motion to dismiss, agreeing that Getinge lacks standing to sue Abiomed and determining that this insulates Getinge from the declaratory judgment counterclaim. 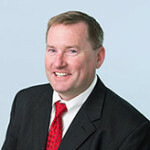 Judge Saylor noted that the counterclaim does not allege that a written agreement exists by which Getinge was given any rights in the subject patent, and absent a written transfer of rights, Getinge can have no rights in the patent. He refused to extend the doctrine of equitable title, stating that there is nothing inherently unfair or inequitable in a corporate subsidiary owning all rights in a patent or in the parent then exercising substantial control over the subsidiary that would require bringing the parent into the controversy. Accordingly, the counterclaim was dismissed as applied to Getinge (although it remains in place against Maquet). Previous Previous post: Crane Security Technologies, Inc. et al. v. Rolling Optics AB (14-cv-12428).